We all know the story of the charming underdog who gets blessed with powers beyond their control after a freak accident and spends the rest of their life fighting for the greater good of mankind. But what if those abilities came from inside you, from the very worst part of you, and there was nothing you could do to control them? What if every time you tried to help someone, things spiraled out of control, and all you did was cause more damage? 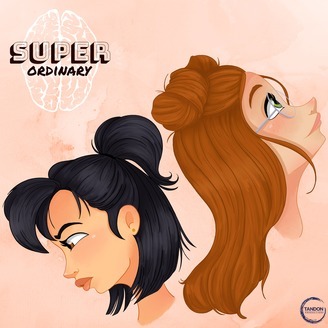 Recognized by the Austin Film Festival, Super Ordinary is the story of a girl who finds out she has super powers, only to find out that they’re connected to her debilitating panic attacks, and therefore nearly uncontrollable. This narrative podcast serves as Anika’s attempt to tell her side of the story after having already been cast as a villain in her world. 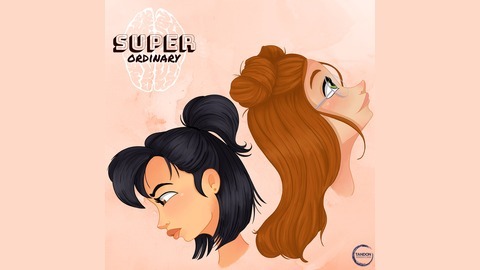 Follow us on Twitter, Instagram, and Facebook @superordpod http://www.superordinarypod.com. We are so excited to be bringing you season 3 of Super Ordinary very soon. To keep up with us during our hiatus, follow us on Twitter (@SuperOrdPod), Instagram (@SuperOrdPod), and Facebook. If you'd like to support season 3, you can snag some limited edition merchandise at our website, SuperOrdinaryPod.com. These items will only be available during our hiatus!